What is an Interchangeable Lens Camera? Interchangeable lens cameras (ILC) are some of the newest types of cameras on the market. Since the first ILC was introduced in 2004 with the Epson R-D1, the market has exploded with models from all the major camera manufacturers. But what is an ILC and how does it differ from other types of cameras like compact point-and-shoots and Digital SLRs? Read on to find out. An ILC is a type of camera system that accepts interchangeable lenses, as its name suggests. DSLRs also accept interchangeable lenses, so it can certainly be argued that a DSLR fits in the ILC category, but the main difference is a DSLR has a mirror inside for the viewfinder, whereas what we generally term ILCs are camera systems that do not. This is why they are sometimes called mirrorless interchangeable lens cameras (MILCs). ILCs have a lens mount, just like a DSLR. The lenses are attached and detached from the camera so you can use different optics on the same camera. The physical mount itself facilitates the connection and communication between the lens and the camera body. Most ILCs available today have lens mounts created just for ILCs. Among those mounts are the micro four-thirds mount from Olympus and Panasonic, the NX mount from Samsung, E mount from Sony, 1 mount from Nikon, Pentax's Q mount, Fuji's X mount, and Canon's EF-M mount. ILC camera bodies are designed to be small. Manufacturers can make small ILCs because they lack the primary reflex mirror of a DSLR. This means no optical viewfinder, and no large pentaprism hump on top of the camera body. ILC cameras use their rear screens as viewfinders, though some models include an eye-level electronic viewfinder. ILC sensors come in a range of sizes. Some like the Pentax Q system have sensors the same size as compact point and shoots, while Sony's A7 and A7R have full-frame sensors. Putting a smaller sensor, allows camera manufacturers to make smaller cameras. Interchangeable Lens Camera, or DSLR? There are many benefits possessed by ILCs. The biggest benefit is their small size. With the right type of lens, an ILC can fit in your pocket and give you image quality on par with a DSLR. Try that with a Canon 70D or Nikon D7100. Despite being so small, most ILCs carry a sensor larger than that of a compact point-and-shoot. A larger sensor will give the photographer better image quality and lower noise than the tiny sensors in a point-and-shoot. ILCs are more versatile than a point-and-shoot due to their interchangeable lenses. A photographer can carry whatever lenses they need for what they are going to shoot. The glass in an ILC-system lens will typically be of higher quality than the glass in a point-and-shoot. The lack of a mirror, means the camera body can be smaller. This means that lenses for ILCs can be smaller, and therefore cheaper, than equivalent lenses for a DSLR. Another benefit of ILCs is that you don't have to be just limited to lenses for your particular system. Because of the lack of mirror, adapting lenses for other lens mounts is easy with just an adapter ring. Do you have a lot of old Canon FD glass? You can get an adapter ring for your Sony NEX and attach your old lenses and get continual use out of it. However, putting lenses for other mounts on an ILC comes with its limitations. You will have to use the old lenses in full manual mode, so no autofocus and no auto aperture control. ILCs do have their drawbacks. Because there is no optical viewfinder, a photographer has to use the rear screen or electronic viewfinder. Both of which update slower than the instantaneous optical viewfinder. Although, a screen or EVF allows you to see exactly what the picture will look like before you press the shutter. Plus, if your ILC has an articulating screen, you can put your camera at angles that would not be possible with an OVF. ILCs also typically suffer from slow autofocus. Aside from providing a path for light to get to the viewfinder, the mirrors on DSLRs also direct light toward the autofocus sensor. DLSRs use phase-detection autofocus which uses optical triangulation to determine subject distance. Phase detection is very fast. Most ILCs use contrast detection autofocus. Contrast detection looks for edges between light and dark in the image. When the system determines the highest amount of contrast has been found after adjusting the lens, it determines the image to be in focus. Contrast detection is slower because cameras often have to adjust the lens several times to get the highest amount of contrast. However, contrast detection can be more accurate for still subjects than phase detection. Newer ILCs are addressing the limitations of contrast detection and manufacturers are starting to put phase detection or a hybrid autofocus system that uses a combination of both in order to increase focus speed. Another drawback of ILCs is that lens mounts are typically incompatible with the lenses you might already own. You can't install a Nikon F mount lens onto the Nikon One system camera. I say typically because Pentax did make an ILC, the K-01, that uses the same K mount as their DSLRs. However, the K-01 was not as compact as other ILCs. The good news is that adapters are available. Own a Sony NEX and a bunch of Nikon F mount lenses? There's an adapter for that. Have a Panasonic micro four-thirds ILC and old K mount lenses. There's an adapter for that. 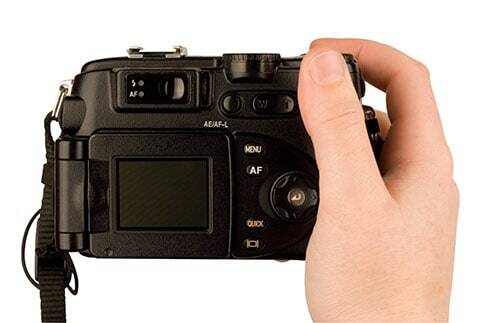 Although, as mentioned before, you typically lose autofocus and auto aperture with an adapter. ILCs are a fast-growing segment of the camera market and manufacturers are making it a point to get rid of the drawbacks of ILC systems, such as slow autofocus, to make them a viable alternative for all shooters. Their compact size and image quality make them an ideal option for the shooter who wants the image quality of a DSLR without the bulk. What's Your Favorite Interchangeable Lens Camera? I have tried a number of different interchangeable lens cameras, but right now my favorite is the Samsung NX30. I love the wifi features, how it packs in many of the DSLR-like features, and the reasonably priced lenses. But the biggest secret in interchangeable lens cameras is the older Samsung NX 1100. It's a few models older so the price is ridiculously cheap, and it stacks up well against an entry level DSLR. This older version had more buttons on it like a DSLR, whereas the newer ones removed some of the buttons, which makes it tougher to shoot with the professional features. Jim bought one for his wife and she loves it!